Francis Mitchell was born in Deptford London in 1804. His parents were John Mitchell and Harriett Dandy. He arrived to Sydney per the Eliza in 1822 as a free settler. Francis Mitchell was married to Eliza Merritt on 12 April 1831 in Maitland. They had four children: Eliza, Louisa, Stanley and Sydney (died in infancy). Francis Mitchell died at his home in Darlinghurst in 1876. Francis Mitchell worked in the firm of Atkinson and Bingle Dealers and Auctioneers from 1822 until 1825, at which time he started a new auctioneering business with Peter Rapsey. Rapsey & Mitchell are recorded at 5 Lower George Street Sydney opposite Kings Wharf as Auctioneers and Ships Chandlers from May 1825; the firm was granted an Auctioneers License on 11 June 1825 by the Colonial Secretary. In October 1825, Rapsey & Mitchell established coal freighting arrangements between Newcastle and Sydney. 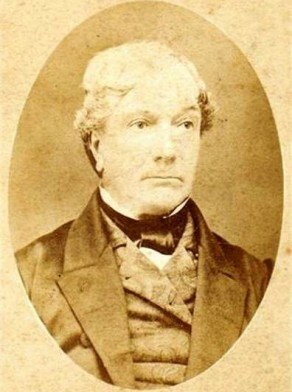 Francis Mitchell was granted land in Sydney in 1825, and later acquired a number of land grants in the Hunter Valley in the 1820s and 30s, including Melville at Luskintyre near Maitland. The partnership with Peter Rapsey was dissolved in the early 1830s, and Francis Mitchell started a new business on Lower George Street next to the wharves at Circular Quay. The firm, Francis Mitchell and Company, involved various family members including his brother Charles and his nephew Francis William Mitchell. In October 1825, Francis Mitchell was appointed to the List of Jurors for the district of Sydney. Francis Mitchell was the Director of the Australian General Insurance Company until he was disqualified by insolvency in 1844. He organised subscriptions for the Mariners’ Church in 1844. He was later a director of the Bank of NSW. Mitchell was Foundation Alderman for Cook Ward, 1 November 1842 until his resignation on 21 September 1843, probably due to bankruptcy.